Russian River: Blind Pig – Ep. 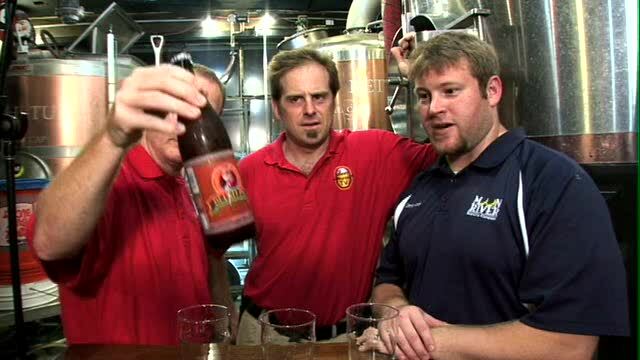 65 | Beer America TV - Craft Beer in Motion! Russian River Brewmaster Vinnie Cilurzo takes a beer from his Blind Pig Brewing Company days and shares it with us all. This bold IPA is sure to be a winner with people who love the style, and better yet, with a 6% ABV, it’s easy to drink and can be enjoyed year round. A multiple award winner, Blind Pig IPA is a must if you find it on the store shelves near you. Pink, that soul patch is off the charts, man! Forgive Paul for his ever-present sensation of “sweet smell”. LOL Love the videos, guys! Keep ’em comin’. When I have tasted this beer, I always taste grapefruit. Maybe my sense is skewed. But I really like Blind Pig even more than Pliny. I had this while in Oregon last summer. Very nice beer, wish I had some more out here in Virginia. Honestly, I almost prefer this over Pliny the Elder, another great beer from Russian River. Have to try, thanks for the credits.